Cats can eat some vegetables. Just because you need plenty of vegetables in your diet doesn’t mean your cat does. Cats need mostly proteins to lead a healthy life because they are carnivores. 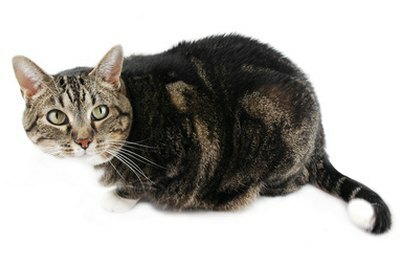 But if your cat is more tubby than tabby, you might want to introduce some veggie treats. Although cats are meat-eaters, when they hunt and eat their natural prey, they eat the vegetable matter in the prey’s gut. Cats are built to tolerate a certain amount of roughage in their diets. If your cat is overweight, adding some veggies to her diet can help keep her weight down. Feeding your cat vegetables can also boost her immune system and can lessen the effects of aging. Good vegetables to offer your cat are chopped carrots, peas, frozen corn, broccoli florets, green beans, zucchini, lettuce, spinach and catnip. Do not offer garlic, onions, tomatoes, avocados or mushrooms. These foods are either toxic to cats or are difficult for them to digest. Vegetables can replace packaged pet snacks you can get at the grocery store, but give them only sparingly. Treats are just something extra you offer your cat in addition to her regular diet, not as a replacement for her meal. Look at the ingredients of the cat food you buy. Many foods, especially dry food, contain too much plant-based protein instead of animal-based protein. A muscle meat should be the first ingredient and will be on the label as “chicken” or “turkey,” for example. A cat food that contains corn, wheat or soy as the main ingredient is not a good choice. The amount of carbohydrates in commercial cat food should be no more than 3 to 5 percent of the total ingredients. What Takes Out Cat Spray?